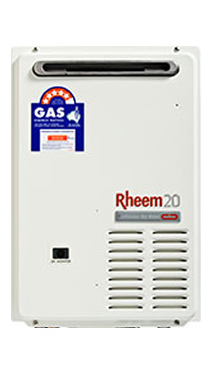 The Rheem Integrity 20 Continuous Flow is a compact, gas instantaneous or continuous flow water heater with optional temperature controllers. Rheem Continuous Flow hot water systems will never run out of hot water. It doesn't store water - instead, it heats it instantly when you need it. Rheem's new compact design is ideal in homes where space is at a premium. Choose the exact water temperature you desire.